Is there a better alternative to WDB Viewer Pro? Is WDB Viewer Pro really the best app in Spreadsheets category? Will WDB Viewer Pro work good on macOS 10.13.4? WDB Viewer Pro needs a review. Be the first to review this app and get the discussion started! WDB Viewer Pro needs a rating. Be the first to rate this app and get the discussion started! Use WDB Viewer Pro to view Microsoft Works WDB files. There's an app for that! Open, view, send and convert MSWorks WDB database documents with an application crafted by the document conversion specialists at LawBox. 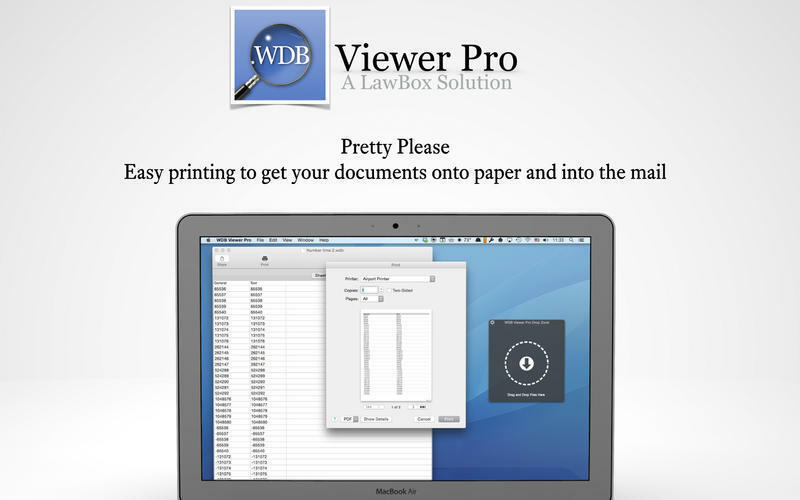 WDB Viewer Pro can read WDB, CSV, and XLS documents; and can save as CSV, XLS, PDF, and HTML. Enjoy the speed and simplicity of professional software backed up by LawBox's famous customer support. If you have any difficulty at all, just drop us a line at support@lawbox.com; our email response time is measured in lickety splits. WDB Viewer is not an editor: it is designed to help you view your WDB documents and convert them to a format that other mac applications can read and edit.